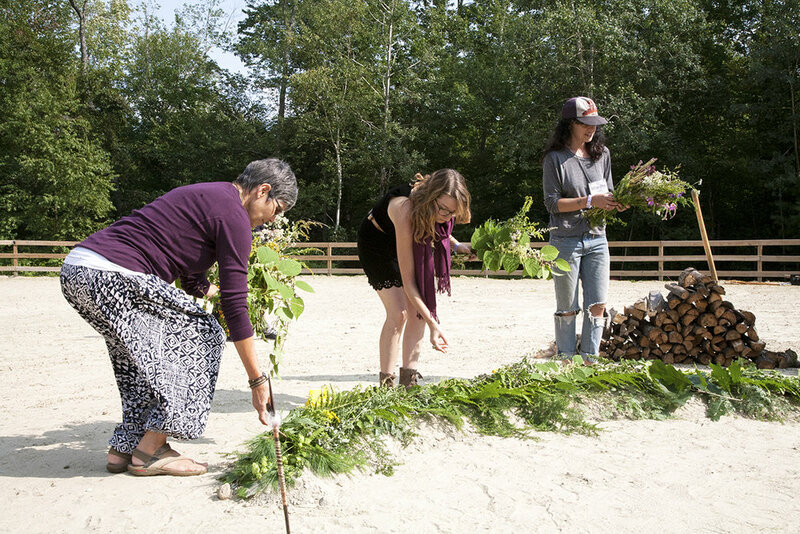 Each year, for the past 31 years the New England Women’s Herbal Conference has brought together women herbalists, healers, and plant lovers to share their wisdom of the herbs and natural healing. 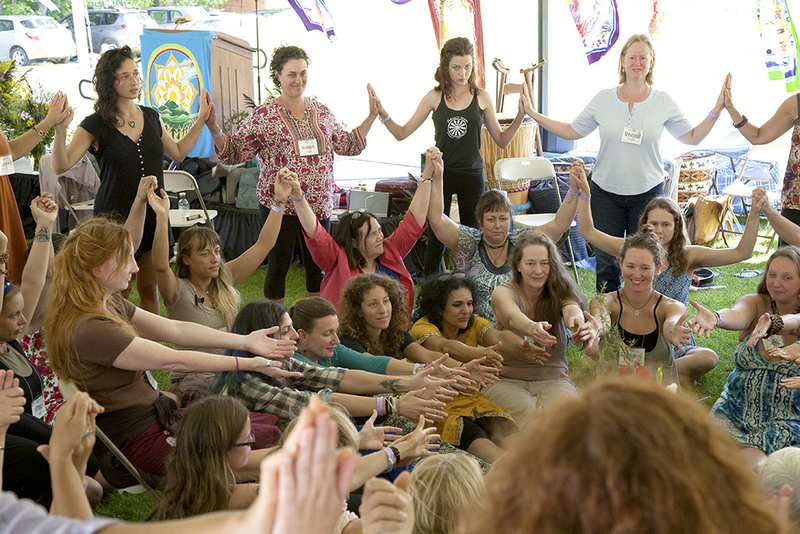 Though the emphasis at the Women’s Herbal Conference is on women’s health, healing, and well being, the NEWHC is far more than an educational event. It is a joyful celebration of women spirit and women’s wisdom, as well as a special time of honoring the Earth and her plant rich being. Camp Wicosuta has been a girls' camp for over 90 years and was founded by a visionary woman to foster leadership skills in young woman. The camp provides excellent facilities, indoor lodging, camping, and a lovely sandy beach on the lake for swimming and enjoying the sun and water. We invite you to wander through our website to find the teachers, activities, and classes that catch your eye. Over 100 workshops, herb walks & demonstrations - click here for the tentative schedule! Swim in beautiful Newfound Lake (or the heated swimming pool), walk among the trees, and breathe in the fresh air. Find treasures at Herbal Emporium and Saturday's Barter Faire! Enter the Cordials & Elixir and Fire Cider Tasting contests. Sing and dance and be MOVED at the evening performances. Sign up for a massage or healing treatment. Discounted Registrations for Elders, Teens, United Plant Savers Members, and those attending the International Herb Symposium are always available. Early Bird Discount on Adult Registrations EXTENDED until May 15th! Click here to find out more! Registration includes access to the all the classes and activities (except for the Intensives) as well as camping. Intensives are longer classes, allowing you to go more in-depth on a subject. They are $35 each and available only to those who are attending the entire conference. Conference Meal Plans are available or there will be food vendors on site. The Camp is not set-up to cook your own meals. In addition to camping, there are rustic bunkhouses, and you are also welcome to stay offsite at one of the many lodging locations. We also now offer Thursday Early Arrival from 4:00pm to 6:30pm. Please pre-register ($35). You can find out more about each of these options on the rest of the website. All women are joyfully and heartfully invited to this intergenerational, multi-cultural circle in celebration of the plants. Women of all racial identities, national or ethnic origins, ancestries, ages, religions or religious creeds, abilities, sexual orientations, skin colors, and body sizes. If you are a cis or trans gender woman, a non-binary or intersex, you are invited into this sacred community space. If you have any questions, please contact us. We ask that you come with an open heart, willing to be respectful that while we are all ONE we are not all the same. Like flowers in a colorful bouquet, we represent the many blossoms in a garden, each beautiful and unique in our own way.